Imagine you're eating dinner at a nice restaurant. The next morning, you wake up suffering from severe diarrhea and vomiting. You feel extremely sick, and you end up in the hospital – where you learn you have Salmonella food poisoning. If your life was interrupted by Salmonella food poisoning – whether you were sickened at a restaurant, event, or at home – you may have a case. At Edgar Snyder & Associates, we've seen many people sickened with all types of foodborne illnesses. We've seen how it affects families, and how it results in piles of medical bills. That's why our experienced attorneys are ready to help get you the compensation you deserve, so you can move on with your life. 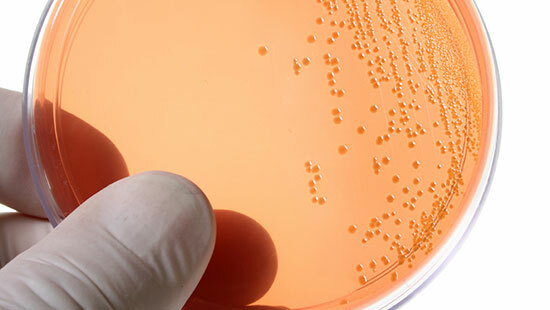 Salmonella is a type of bacteria that was responsible for an estimated one million foodborne illnesses in 2011, making it the second-largest contributor to food-related outbreaks. According to the Centers for Disease Control and Prevention, it is the number one cause of foodborne illnesses resulting in hospitalization. Symptoms of Salmonella poisoning usually occur within 12-72 hours after infection and can last from 4-7 days. Follow these food safety tips to help avoid Salmonella poisoning as much as possible. Even "healthy" people could end up in the hospital with Salmonella food poisoning. In some cases, it can even be fatal. Young children, older adults, and people with weak immune systems must be extra cautious if they believe they have come into contact with food or drink contaminated with Salmonella. What Should I Do if I've Been Sickened by Salmonella? When you receive medical treatment, request a stool culture and blood tests to confirm Salmonella poisoning. It is difficult to receive compensation for food poisoning without medical proof. Next, gather as much evidence as you can. Keep the can, jar, or container that holds the product you believe caused your illness. If you're able to, save the lid, place it in a plastic bag, and put it in your refrigerator so it can be tested later for Salmonella. Save the receipt from the store or restaurant you purchased the tainted food and the UPC label from the product itself. Contact your local health department and share any important information you have about your Salmonella illness – you could help save people from Salmonella poisoning. Contact Edgar Snyder & Associates to learn your legal rights. You may have a food poisoning case and be able to get compensation for your hospital bills, medical bills, and missed work time. Our attorneys have helped food poisoning victims for over 35 years, and we're ready to put that experience to work for you. Call us toll-free at 1-866-943-3427, or fill out the form at the top right of this webpage for a free legal consultation. Remember, evidence disappears quickly – especially with food poisoning cases. If there has been an outbreak, you can help save others from food poisoning. Our phones answer 24/7, so contact us at any time. Please note: All of our lawyers are licensed to practice in the state of Pennsylvania. We also have lawyers licensed to practice in Ohio, and West Virginia and we associate with experienced attorneys in other states. Foodborne illness cases may involve co-counsel.